Underlying the governor’s assertion that the last SEBAC agreement “is projected to save Connecticut more than $25 billion over 20 years” is a dubious proposition: that government employees are entitled to their current level of benefits forever— long past any contractual period that pertained during the last negotiations – so that any reduction from that baseline therefore constitutes a “savings” to the state. Nor did the governor’s discussion about the possibility of reducing future benefit accumulation for current workers or adjusting benefits for the best-off retirees engage these issues fairly. Certainly, Governor Malloy is right that stripping all pension benefits away from current workers and retirees would be neither constitutional nor just — but he also knows that no serious policy proposal to do so has ever been presented. Alarming people unnecessarily is no substitute for confronting reality: reasonable and equitable adjustments to the pension system that allow the state to represent all its citizens, and for private citizens to be able to afford to save for their own retirements in an economically healthy state, are both necessary and constitutional. Nowhere, however, is the governor’s op/ed more at odds with the facts than in his discussion of the disparity between private and public-sector pay. This claim is partly wrong, and partly downright bizarre. It errs in insisting that Connecticut’s government workers are better compensated only if liabilities to retirees are attributed to current workers. This is incorrect. Yankee Institute’s 2015 study, documenting the pay difference between government workers and their private sector counterparts, did not attribute retiree benefits to current workers. Rather, the study determined individual state government employee compensation is 25 to 46 percent higher than comparable private sector workers without counting benefits for current retirees. In analyzing Connecticut state employee compensation, study author Andrew Biggs employed the same methodology the Congressional Budget Office uses to analyze federal employee pay. If the methodology is appropriate for the federal government, why not for Connecticut? And the claim that benefits being accrued by government workers of ten-years’ tenure should somehow be off-limits in comparing government to private-sector benefits simply makes no sense. Why would long-term government employees — the ones with the most expensive benefits, who might continue to accrue these benefits for decades to come — be excluded from the calculation? They are excluded from the governor’s analysis because doing so is indispensable to claiming that government workers don’t on average get a vastly sweeter deal than their private-sector counterparts – and thus a tacit admission that Yankee Institute’s study is correct. But for additional confirmation, one can look to the federal Bureau of Economic Analysis. Data from the National Income and Products Accounts of the BEA shows Connecticut state and local government benefits range between 45 and 47 percent of payroll, not including unfunded liabilities. Comparatively, private sector benefits are 19 percent of payroll. For those still unconvinced, there is a clear way for the Malloy administration to prove that public and private employees in Connecticut are on an equal footing: Reform government worker and retiree benefits, across the board, to bring them into line with their private-sector neighbors. If private and public sector compensation in Connecticut are truly comparable – as the governor’s op/ed insists — there should be no loss for the state government employee. There’s no doubt the last eight years have been challenging ones for Connecticut. There have been more tax increases, in aggregate, than during any gubernatorial term in modern state history. These tax hikes have weakened our economy, slowed our recovery from the Great Recession, and driven taxpayers to other, more economically-hospitable states. The administration’s reluctance to confront the unaffordability of past and current promises to government employees — the consequence of decades of agreements between governors of both parties and union leaders — has been the other major policy failure of the last eight years. 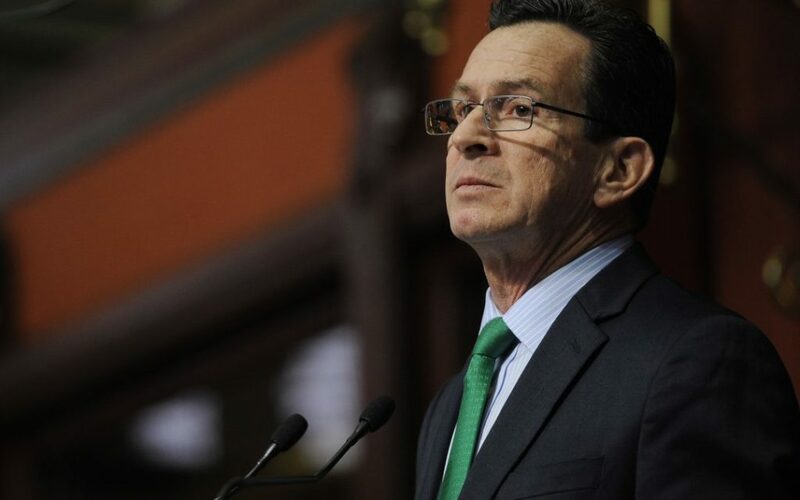 Rather than take on politically powerful government union leaders, however, the Malloy administration enthusiastically extended the SEBAC deal until 2027. Notwithstanding these shortcomings, the governor can still do the people of Connecticut a great service in his final months of office – simply by conceding that a monumental fiscal crisis faces the state and that hard choices that must be made in the future. We have no right to demand perfection of any administration as it addresses the myriad challenges that confront it; we are, however, entitled to honesty about the impact its policy choices will have on generations to come. When you spend ONE BILLION dollars for a train service from New Haven to Hartford (and some to Springfield, MA) that only a VERY small number of people can and/or do use….why worry about pension benefits? Give them a free pass on the train! !